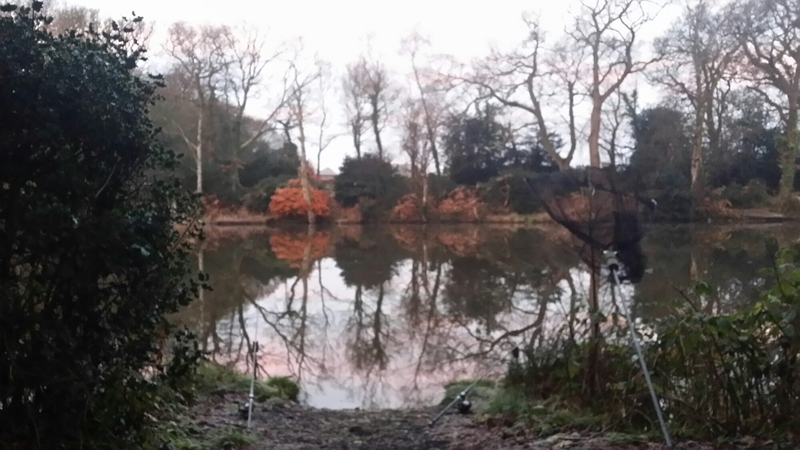 This is it, the last trip of 2014 and it was going to be an overnighter. 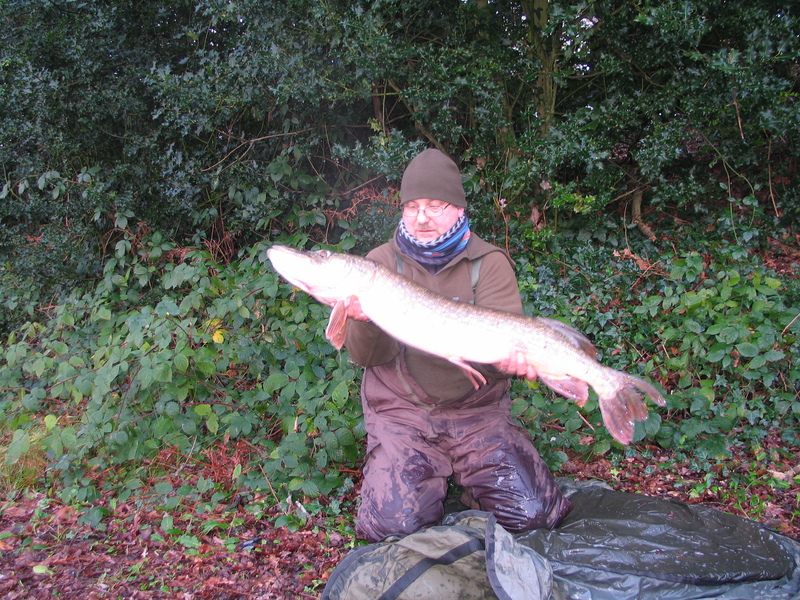 However, the frost arrived and I fancied my chances at catching some pike, so it turned into a day session. 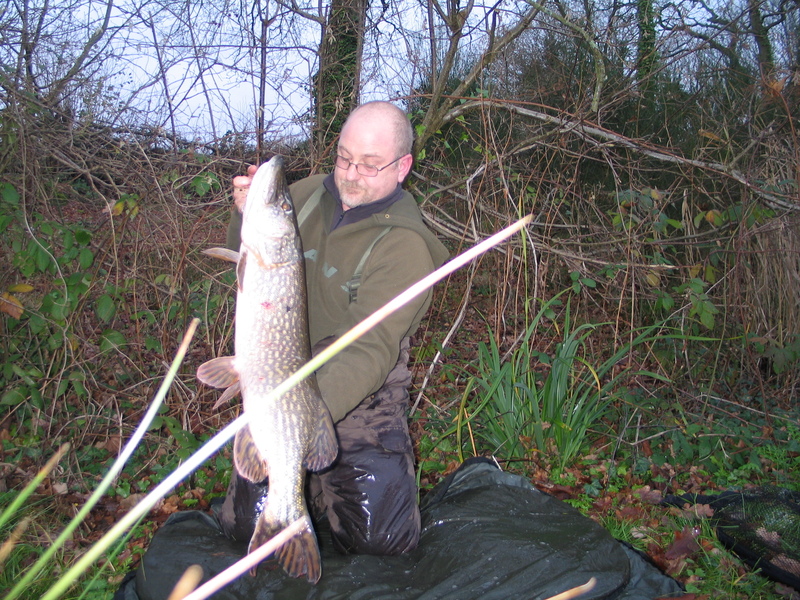 I am trying very hard not to go carp fishing for the sake of it as I believe I got stuck in a bit of a rut once or twice before. 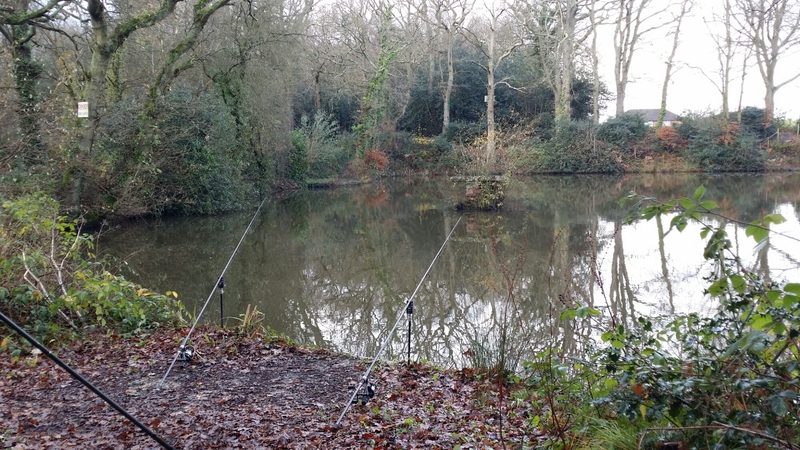 My first choice of swim today is where I had the pike from on my last pike trip and as my last carp trip I spotted a lot of fry down this end of the lake. Therefore, this was the best end to start at. Within the hour my first fish was in the net. 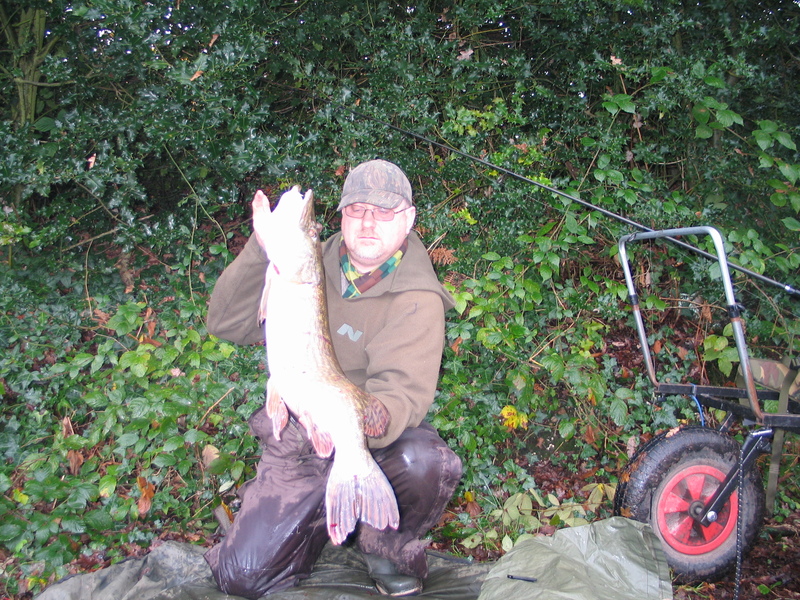 A nice 15lb-6oz fish. 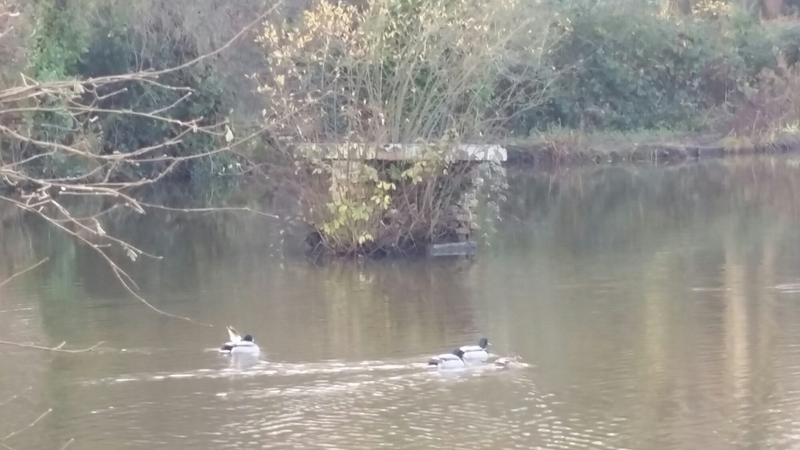 Not long after that, I was moving to my next swim towards the dam end. I had only just sat down and the rod was away again! 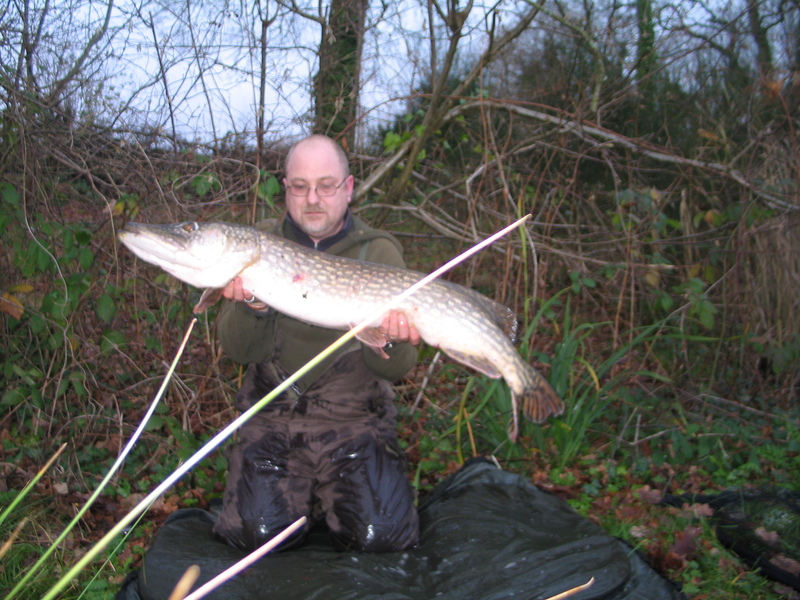 With another hard fighting pike, it turned out to be the same 14lb that I had the other week. I had my other rod by the monk and I was thinking this was my best option. I will give it another 30 minutes and then I will move up by the reeds I think. 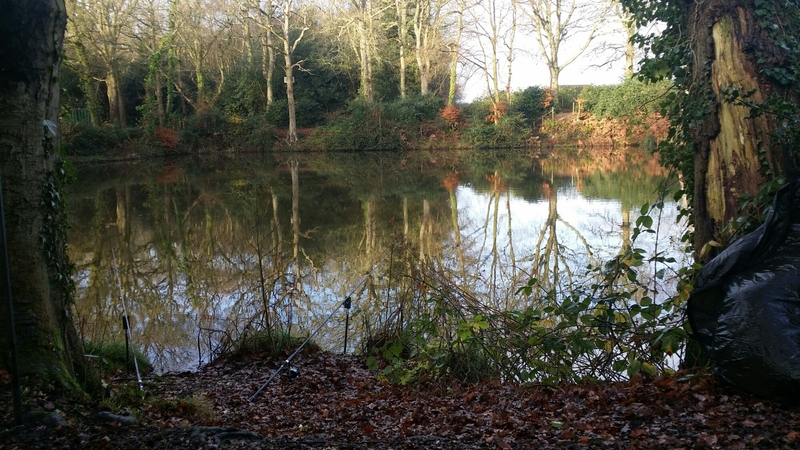 I have moved to the swim next door, so I can keep one rod on the monk, as the right hand margin has produced a fish already. But by moving I can fish another spot. I will give it another hour or so. Heavy rain storms keep coming through, right pain, when I want to stay mobile. 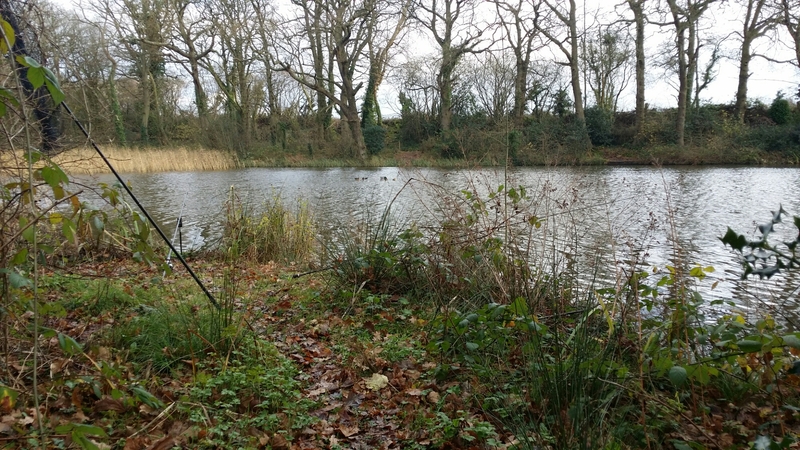 This time, I have moved completely round to the other side of the lake and towards the shallow end near the reed’s. 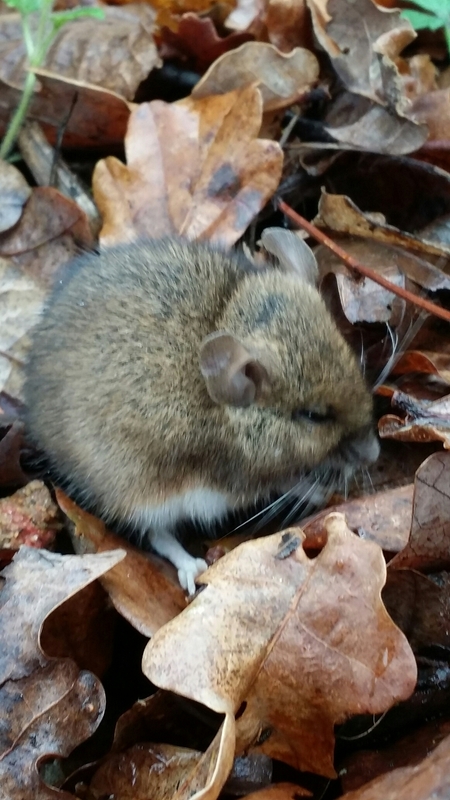 My new friend, after sharing lunch! 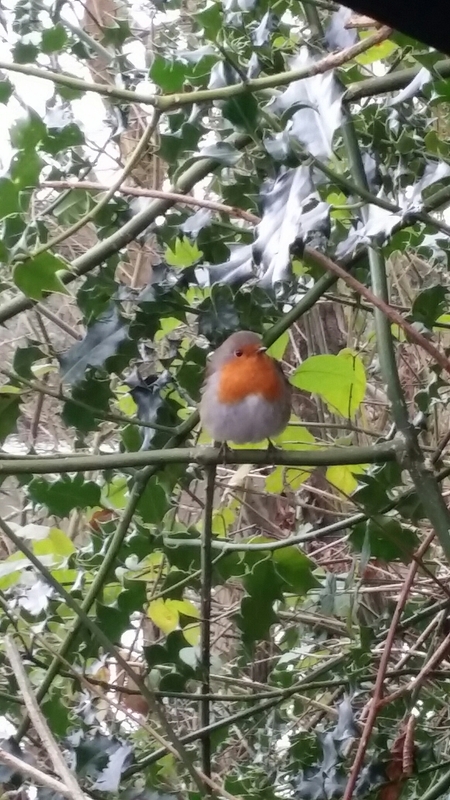 I also had a friendly Robin too. 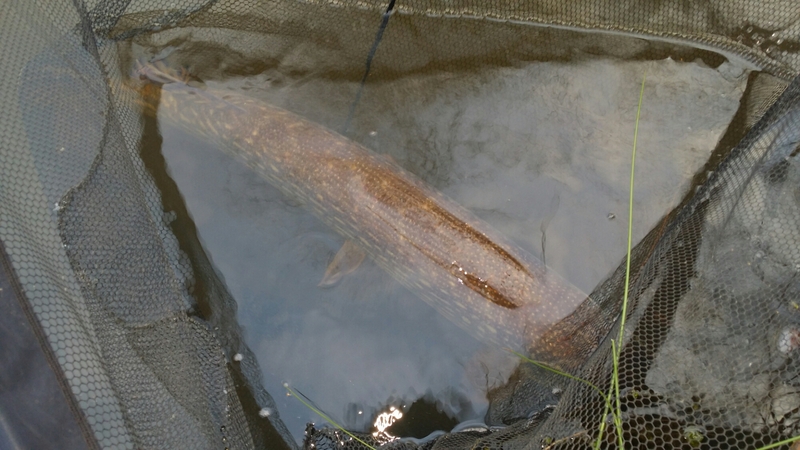 My third fish of the day was a stunning 20lb 6oz pike. Always check your view finder. Oops!